I've been depriving myself on using cosmetics for about a month now. Reason: I had a major break out on my chin and cheeks part after having a facial session. I hate it when I break out. You know, it kinda lessens my self-confidence to face people. I am a working woman and I am prone to all germs and bacteria everyday. Based on the suggestions I have read online and through advertisements, once a product caused irritations, discontinue use. So I cut off using foundations and powders on my face. I saw these face masks in Watsons. 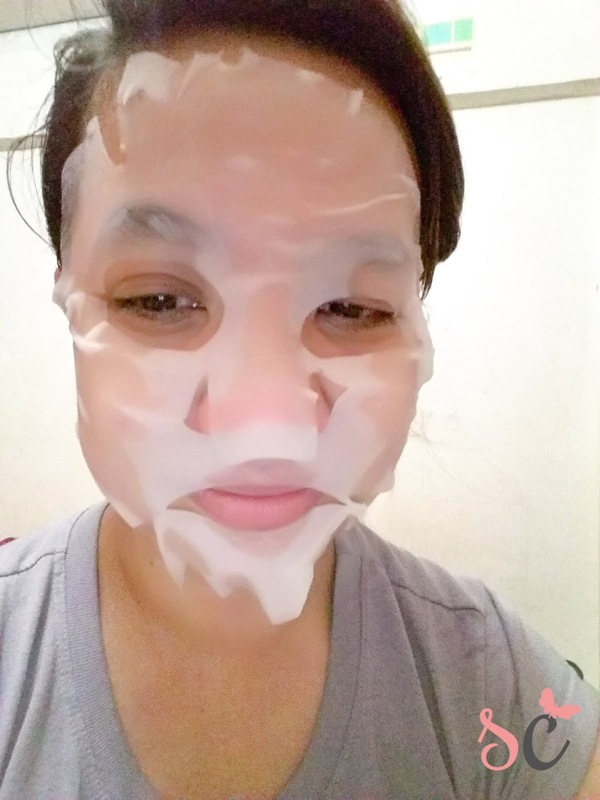 Well, I am a fan of pastel colors, and now, a fan of face masks. Everything that is in pastel color catches my eye. I love shopping in Watsons ans seeing useful beauty products there. This face mask is my favorite now! 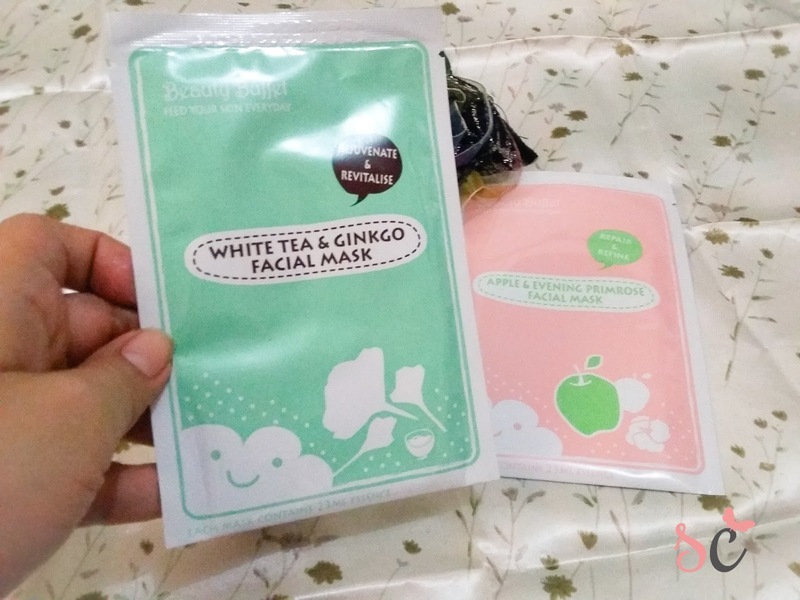 There are many different variants for these face masks based on my research, but these two are the only ones available when I went to Watsons. Indulge in a sumptuous feast for your skin. 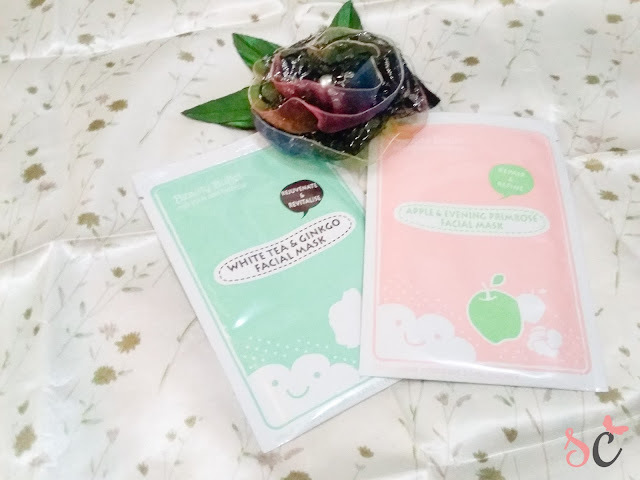 This Beauty Buffet mask's unique recipe is made up of Apple Primrose extract to help repair and protect damaged skin, and Glycine to help retain moisture. Skin regains the softness and suppleness of youth and appears more refined. Natural botanical extracts - algae, aloe vera, and cucumber also help to moisturize and nourish skin. This Beauty Buffet mask's unique recipe is made up of White tea & gingko extracts - potent antioxidants to help rejuvenate damaged skin and defend against the formation of free radicals. Leaves skin refreshed and revitalized. Natural botanical extracts - Algae and Aloe Vera also help moisturize and nourish skin. The thing I love about face masks is that it minimizes my night time 'pamper time' into few minutes of relaxation. Using cleansers and toners, plus moisturizers just take time to do, and using face masks feel like doing these sessions all at once. But don't get me wrong, you need to wash your face before you put on these masks. Make sure that your face is clean! Anyway, I know that these face masks are luxury because it costs a lot, and you cannot use it more than once. I never knew that I will love these! The Apple & Evening Primrose smells so nice! The mask is really impressive because my face feel so smooth after removing it. Plus, my pimples dried, which makes it more impressive. It's a bit juicy so it keeps dripping on my face to the neck. What I don't like is that it can be torn easily when you are trying to move the mask on your face. But overall, the experience is nice and I will surely buy this again!